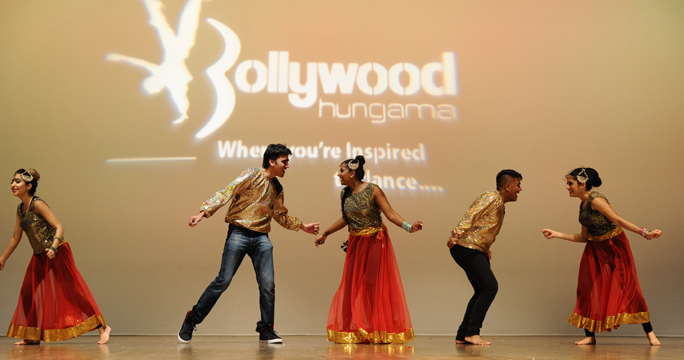 People from all communities, young and old, boys and girls, men and women, all are welcome to learn dance at our school because we believe that Bollywood Hungama is where you are inspired to dance. We conduct classes at our hi-tech dance studio well equipped with wooden floor, mirrored walls, stage effect lights and surround sound system. There are different class schedules for different age groups, we also have separate classes for ladies. We have four levels, the beginners begin at level 1 and as the students progress they are shifted to a higher level. And if you are interested in performing – we are really interested in YOU! 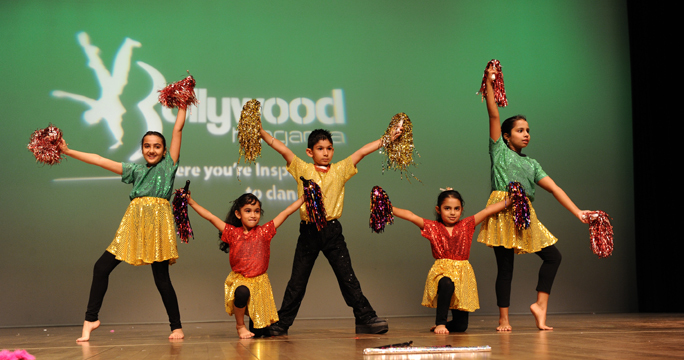 We have our Junior and Senior performing teams and we encourage our students to work hard and be a part of the teams. As performers, they gain the experience and the exposure of being on stage. 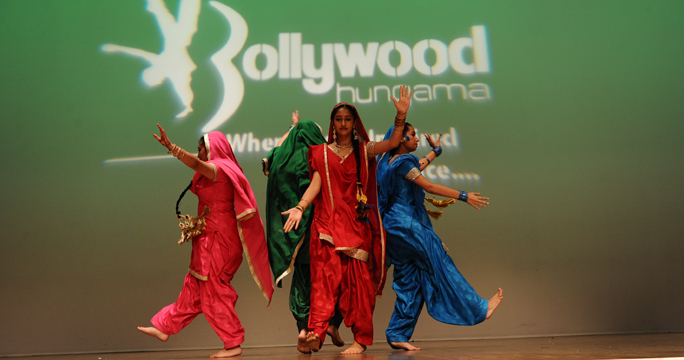 Our students get the opportunity to perform in different events and functions all over Vancouver. If you wish to enroll just click here complete the registration procedure and be a part of the Bollywood Hungama Family. We accept Drop- in students, just call us at 604-594-7999 and book for an hour of fun!! f you are shy to join our regular class or if you have a family function and wish to perform for your near and dear ones we will help you. You can book Bollywood Performances related our private dance lessons and our highly experienced instructor will choreograph a mix of songs especially for you. You can choose a theme and songs according to your need and get one on one training and practice to perfect the dance moves for your private dance lesson. The classes are conducted at our hi-tech dance studio well equipped with wooden floor, mirrored walls, stage effect lights and surround sound system. So just click here join our private dance lessons classes and be prepared to surprise yourself and your family. If you wish to enroll just click here complete the registration procedure and be a part of the Bollywood Hungama Family.. If you have an engagement, wedding or birthday in the family and wish to have entertainment we would love to entertain you. We are the only dance school which has a junior and a senior performing team and our experienced dance teams have performed for different events and functions all over Vancouver and have been highly appreciated. If you book a performance well in advance you can also choose the songs to be performed and we will choreograph according to your theme.